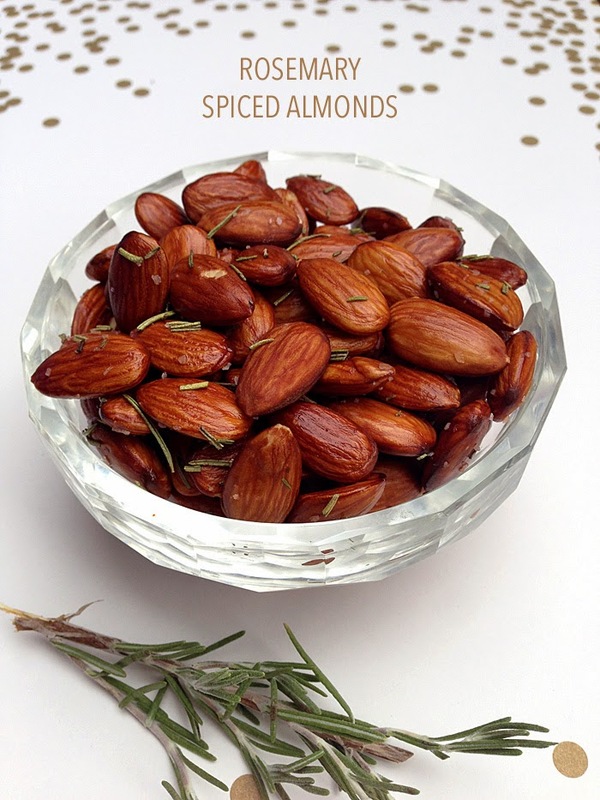 These rosemary spiced almonds are great to have on hand year-round (as we covered in Pantry Prep: Savory Snacks), but I think they're especially satisfying in the cooler months. They're the perfect snack for cocktail hour or for the chef (you!) while prepping dinner. I store them in a Weck jar where they'll keep for months (although they don't tend to last that long without being eaten!) I either serve them straight from the jar, or put them in a crystal dish for added fanciness. I haven't once served these almonds without someone asking me how I made them. I hope they will be a nice addition to your holiday hosting! Preheat oven to 350. Spread almonds on a baking sheet in a single layer. Drizzle the olive oil on top. Sprinkle with 1 teaspoon of the salt. Smother with the fresh rosemary - you want as much coverage as possible, as pictured below. Bake for 8 minutes, then open the oven and give the pan a little shake. Bake for 2-3 more minutes, until almonds are slightly crisp. 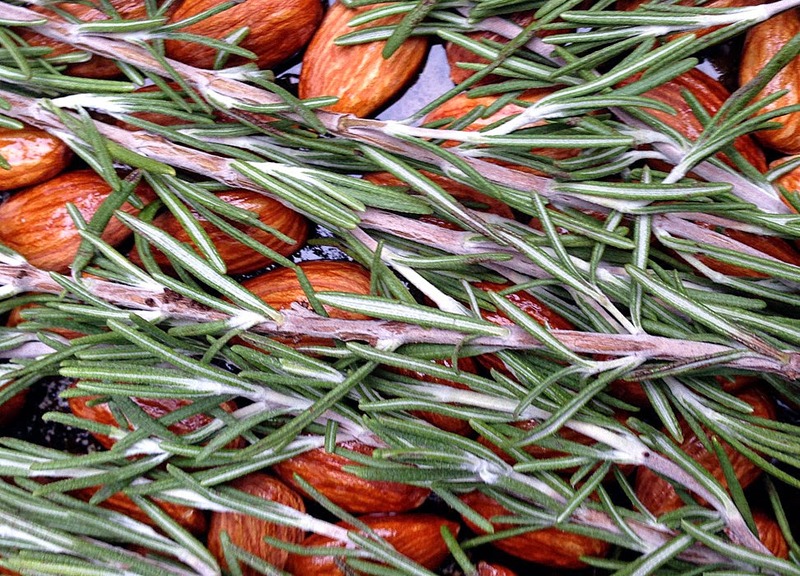 Because of the natural oil in almonds, they will continue to roast outside of the oven. Remove rosemary and discard. Sprinkle with remaining teaspoon of salt. Let almonds cool fully before placing in an airtight container. I like to add a tablespoon of dried rosemary into the mix to indicate to the guest what flavor they should anticipate. If anyone else has a go-to snack kept on hand, please share!